The website (the hereinafter reference of www.sesam-biotech.com) is operated by SeSaM-Biotech GmbH (hereinafter referred to as “SeSaM-Biotech”) and all rights thereto are owned and reserved by SeSaM-Biotech. The information available on this website has been put together with utmost care. The information and software made available on this website are provided to the user “as is” and without guarantees or representations of any kind (express or implied) or any liability to the fullest extent permissible pursuant to applicable law. Forward-looking statements made on this website have been given according to the best of our knowledge and belief. 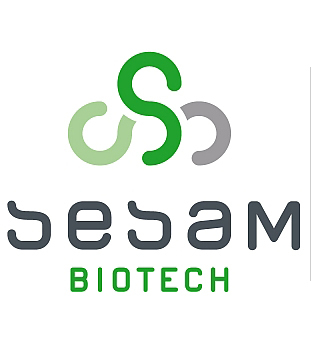 SeSaM-Biotech shall not be responsible for and disclaims any liability for any indirect, incidental, consequential and special damages, that have been caused by or in connection with the use of this website. Any product information or other information published via the website is given to the best of SeSaM-Biotech’s knowledge. All this information shall not, however, as far as legally permissible, create any guarantee or representation of any kind or any liability of SeSaM-Biotech and shall not relieve the User from undertaking its own investigations and tests. Without liability whatsoever SeSaM-Biotech may without notice modify and/or discontinue operation of all or portions of this website at any time in its sole discretion, and assumes no responsibility to update the website. By accessing this website, the visitor or user agrees to all terms, conditions and notices contained or referenced herein. Data protection is a matter of uttermost importance for SeSaM-Biotech. It is seriously taken into consideration for both the business dealings and data collected while using this website. Any visitor or user may use the entire website without providing any personal data. However, whenever this website is accessed, the web server automatically records and evaluates technical access data that includes IP address, operating system used, the domain name of the website that acts as a platform for a visit to this website, the average duration of a visit, and the web pages called within this website. It must be mentioned that these data cannot be attributed to a specific person, allowing anonymity of the individual user (e.g. by GoogleAnalytics). These data are used to enhance the usability of the website and for continuous improvement of company’s public image. Additionally, personal data is collected only when voluntarily provided by the user. Personal data collected may include, for example, your name, the name of your company, your and your company’s mailing address. This can occur in relation with a query, opinion survey, your desire to contact SeSaM-Biotech etc. If you decide to use such a service, you will find, for each service, information about the ways these data is utilized. SeSaM-Biotech collects, processes and utilizes all personal data gathered during your visit to this website in accordance with the legal regulations applicable to data privacy. The data is used only for the purposes mentioned in the present declaration. Furthermore, data collected is processed and utilized only when protecting the legitimate business interests of SeSaM-Biotech. The pages of this website are protected by copyright. In particular, any reproductions, adaptations, translations, storage and processing in other media, including storage or processing by electronic means, enjoy copyright protection. However, SeSaM-Biotech permits the users to use, save, or duplicate the texts, images and graphics provided on this website, either in whole or in part, for journalistic or academic purposes (e.g. presentation in a student’s seminar), within the restrictions of prevailing press and copyright laws. Nevertheless, SeSaM-Biotech must be named as the source or the copyright holder of the reproduced information and a sample copy must be sent to the company public affairs office. Moreover, the texts, images and graphics downloaded from this website can be used for personal, non-commercial use or for further business dealing with SeSaM-Biotech. The texts, images, graphics, logos etc. provided by SeSaM-Biotech on this webpage may not be altered, copied for trade purpose, or used in other media, except the ones specified above, including other websites. Links to third-party websites (“Hyperlinks”) do not constitute an endorsement of such third-party websites by SeSaM-Biotech and SeSaM-Biotech is not responsible for the availability of these websites or their contents. The hyper linking to these websites is at the user’s own risk. The trademarks displayed on this website are registered trademarks of SeSaM-Biotech. If you use any of the trademarks of SeSaM-Biotech, you have to ensure you have the express written permission of SeSaM-Biotech. Unauthorized use or abuse of these trademarks is expressly prohibited and constitutes a violation of trademark law, copyright law, or other intellectual property rights or unfair competition law. Any claims or suits associated with the website or its use shall be governed and construed in accordance with the laws of Germany, excluding its conflicts of law principles. The exclusive rights and license to show, distribute, embed and link the ‘SeSaM-Biotech Trailer’ are property of SeSaM-Biotech GmbH, Germany. We thank the team of Lena Fellner, Hannah Küppers, Pascal Faßbender, Isabel Denz und Sophie Eißner (University of Applied Sciences, Aachen) for the production of the SeSaM-Biotech Trailer.